The Nikon D7100 doesn't come with a screen protector, unlike many other Nikon DSLRs. There is not even a receptacle for adding one. For my other cameras I always use a GGS LCD protector. It is a lot clearer than the plastic screen protector, and it provides more protection than the soft type of screen protector. In fact, it has already saved one of my cameras. See here. What about the D7100? It is so new that there is no GGS protector for it yet. 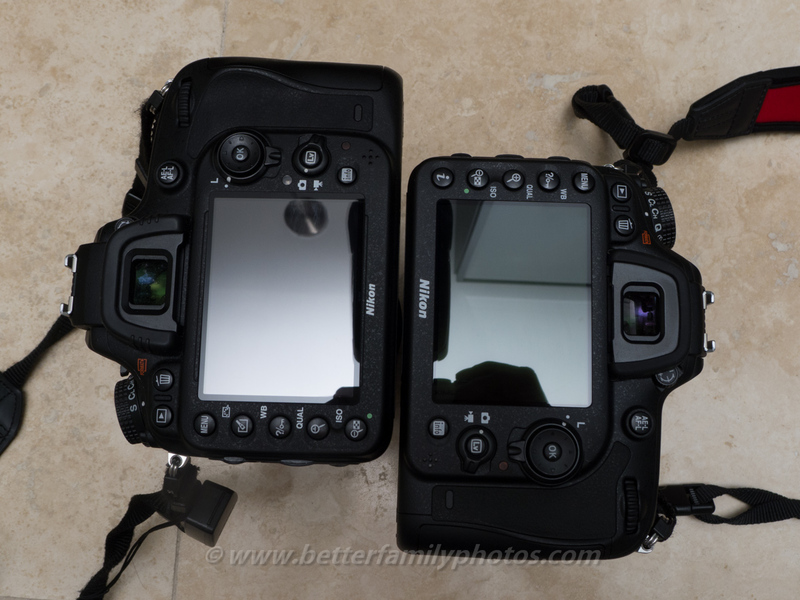 The good news is that you don't have to wait for one -- the D7100 screen is the same size as that of the D600, and can use the GGS protector for the D600. 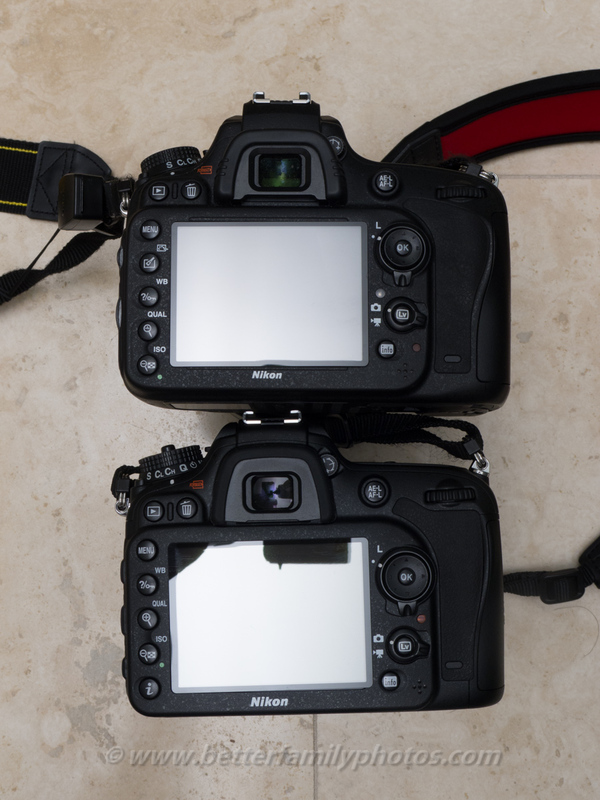 The D7100 screen was designed to reduce glare and unfortunately, adding a GGS protector removes that benefit. Here is the D600 with a GGS protector on the left. The one on the right is the D7100, before I attached a GGS protector. I bounced a flash off the ceiling. You can see that the reflection of the ceiling on the D600 is brighter than that of the D7100, evidence that the D7100 has better anti-glare properties (note: I don't know how the D600 without the GGS would compare). Now the reflection is even (there might even be slightly more glare on the D7100). 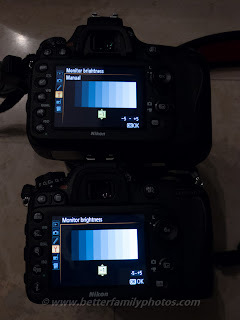 Here is another view (D600 on top, D7100 on the bottom). Fortunately, the GGS protector does not diminish the brightness of the screen. In the shot below, the D7100 still appears brighter than the D600 (D600 on top, D7100 on the bottom). PSA: If you are interested in the Nikon D7100, you can join the Flickr D7100 Group for samples and the latest discussions. Hi. It appears to be a genuine GGS LCD protector (or at least so identical that I cannot tell it apart from the real thing). I understand there's no official GGS screen for the D600 yet but there are many that are being sold that way. 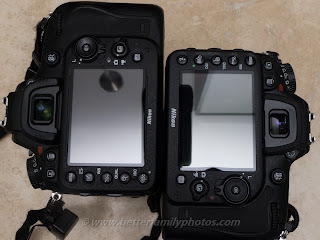 The screen matches the D600 screen size very closely but the drawback is there is no top LCD protector. To me this is still better than having no protector at all. But once the real thing is released, I would probably buy it again. does the lcd protector cuts some edges of the picture when play back pictures and the menus? because i can see usually GGS screen protector has black edges (like a frame) around it. Hi Davidsan. I don't have the D7100 with me right now but I'll let you know when I get home. My recollection is that although there is a black frame on the GGS protector, the black frame does not block any part of the screen that actually displays images/menus. Does it cuts some edges of the picture (when play back) and the menu on the screen? Usually GGS LCD Protector has a black edges (like a foto frame). Hi Davidsan. I found that the black frame around the GGS protector does cover a very small part of the screen (more so on the left side than the top, bottom or right side) but if you need to, you can look behind the black frame if you tilt the screen. I'll post a close-up picture.